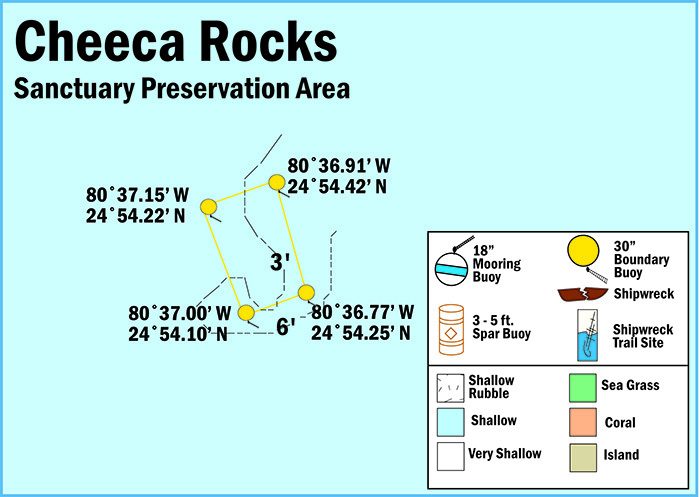 View a map showing the location of morring buoys within Cheeca Rocks Sanctuary Preservation Area. The Cheeca Rocks Sanctuary Preservation Area (SPA) is the only area in the Upper Keys designated to protect inshore patch reefs. Cheeca Rocks is one of the smallest SPAs, encompassing approximately 0.05 square nautical mile and is located southeast of Upper Matecumbe Key.